When the submission process closes, all stories are reviewed by our independent panel of judges. The panel then develops a list of finalists and ultimately winners in each of the community value categories. The panel may contact the club for further information about a story. Paula Duncan has worked extensively on stage, film and television for over half of her life. 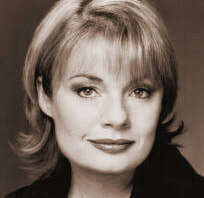 She has appeared in TV dramas such as Prisoner, Neighbours, Home & Away, Mother & Son, and a variety of lifestyle and current affairs programs. Over her career, Paula has been awarded seven Logies. For her charity work, Paula was presented with an Australian Achievement Award. Most notably she was awarded an Order of Australia for Outstanding Contribution to the Entertainment Industry and the Australian Community. Paula has sponsored and produced a wide range of charity events raising close to $10 million. Wayne worked with ClubsNSW for 25 years finishing in 2013 as Deputy CEO. Since then Wayne has been serving as a Trustee on the Board of the club industry's Superannuation Fund, Club Plus. Wayne is a passionate supporter of the Club Movement and the intrinsic value that clubs bring to the communities they serve. Tony has been a journalist for over 35 years, the last 29 years at News Corp Australia in various roles. He joined the Daily Telegraph in 2001 after being the group's Sydney Oympics managing editor and the Sydney Paralympics editor in 2000. 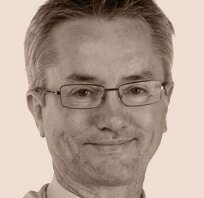 Tony has been deputy managing editor of the Telegraphs for over five years and one of his primary roles is to manage the editorial component of the papers' external partnerships. He has also been in charge of the highly successful Pride Of Australia community awards since its inception 12 years ago. 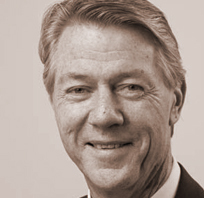 John Trevillian, formerly Assistant Director General, has been a national and international leader in the development of the major events industry for over 20 years. He was the first person inducted into the Festival and Events Association Hall of Fame in 2003, was honoured with a Lifetime Achievement Award from the Events Industry Association in 2015. John was awarded an AM in the Order of Australia for service to the community in 1995, an Order of the Golden Rings from the International Olympic Committee for service to the Sydney 2000 Olympic Games in 2000 and a Centenary Medal for service to the Australian community in 2001. John is now Managing Director of JT Strategic Solutions, and Director of Inspire Strategic Solutions. Each panellist is required to sign a Declaration of Interest and Confidentiality Agreement to ensure they do not divulge any information from the submissions.